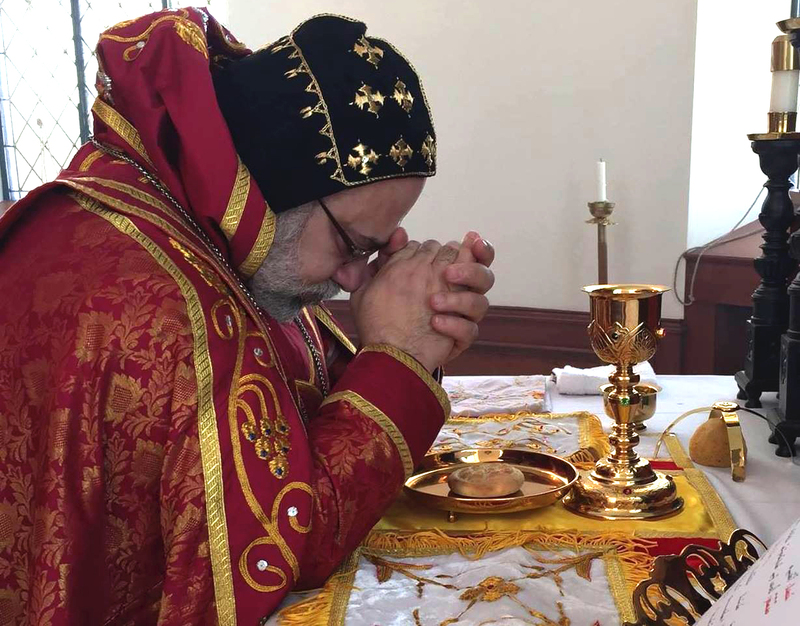 On Friday, August 10, The Archdiocese received the students of Beth Mardutho who are studying the Syriac language with Malphono George Kiraz. The students attended the Holy Qurbono Liturgy celebrated by Fr. Maroutha. Aimee Hannouch, who is taking Syriac I, read in Syriac from the book of Acts and Fr. Mathew Berrios, who is taking Syriac II, read from the Letter of St. Paul. The students then had breakfast with the community which was followed by a lecture by Dr. Jason Scully of Seton Hall on Isaac the Syriac with advice to students on how to pursue a Ph.D. on a Syriac topic. Mr. and Mrs. Malak Yunan donated the breakfast for the students.